Ah food trucks. I don’t think I need to express my complete and utter glee at the fact that Boston has embraced this trend and is offering its residents a wide range of food truck options on a daily basis. The only problem is, maybe you can never get to Government Center to try the Taco Truck, or to Prudential to try Go Fish. Well pay attention my roach coach challenged friends, because the Boston Foodtruck Festival is here to sooth your lunch location woes. That’s right, you can try ALL of the food trucks in one place, in one afternoon. And better yet, I am giving away a pair of tickets to the event on June 10, 2012 at the UMass Boston Campus Center. Keep Reading after the press release about the event to find out how to enter…. Boston, MA – The New England food festival scene is soon to be heating up just like the current weather! 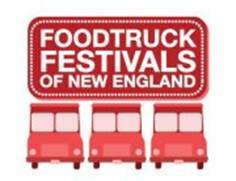 Food Truck Festivals of New England announce two new locations outside of the Bay State with the New Hampshire Food Truck Festival at Rockingham Park in Salem, NH on June 30th and the Newport Waterfront Food Truck Festival in Newport, RI on October 20th. There are 11 festivals in total spanning from June through October launching on June 10th with the Boston Food Truck Festival at the UMass Boston Campus Center (rescheduled and now in a new location within UMass Boston). All festivals will take place from noon to 4 pm, with a special VIP Preview hour from 11am – noon. Tickets for the festivals are currently on sale and can be found at www.foodtruckfestivalsofne.com. Over 50 trucks from all over New England will be participating on a rotating basis; some will be at all, others in select communities. Participating trucks include Roxy’s Grilled Cheese, Bon Me, Staff Meal, Woodman’s of Essex, and Kickass Cupcakes. A complete list of up-to-date participating trucks can be found online at www.foodtruckfestivalsofne.com/the-trucks. Bonus Entry: Tweet “I want to win a pair of tickets to @foodtruckfestne from @renh77! http://wp.me/pVsto-Iq“. After you have tweeted, come back and leave me a comment saying you did so. Bonus Entry: Write something on your Facebook wall that links back to this post and tags Eat.Live.Blog’s Facebook page. Come back and leave a comment here saying you did so. All entries must be received by Monday, June 7th at 10am. The winner will have 24 hours to respond to the notification email. If they do not respond, a new winner will be chosen. Winner will receive 2 tickets to the June 10, 2012 Boston Foodtruck Festival. Prize has no cash value. This entry was posted in Random and tagged boston, Contest, food truck, foodtruck, foodtruck festival, tickets, win by reneeh. Bookmark the permalink. Clover is my go-to food truck. Their rosemary fries are perfection. Thank goodness it’s easy to find Clover around Boston! Bon Me! Their thai basil limeade is so refreshing and the rice bowls are delicious. best food i’ve ever had was the chubby chickpea. so good! I hope I did it right. I Twittered (I monitor on my phone but don’t normally tweet). I also posted on Facebook. I would love to win tickets – we’re from Missouri! And we’ll be there! We only have a few food trucks here. We like the Traveling Taco. The best mobile food I had was at a truck in Portland, OR. It was a ‘Super Falafel’ – delish falafel and soft tender lamb. So good! Anything from Roxy’s Grilled Cheese! Mmmmm food trucks…. Anything from Roxy’s Grilled Cheese~! I have to find Clover one of these days! My best food truck ever was a random LA taco truck — I wish I could find it again! Here in Boston, it’s Roxy’s. Clover was the best for me! You can’t go wrong with anything from Redbones! Vietnam and its street food culture is amazing 🙂 all the fried fish balls and tofu are yummy! Question: Did you mean the drawing is Monday, June 4? June 7 is not a Monday. I did! Sorry about that! I loveee all of the grilled cheese options from Roxy’s, and then of course my classic go-to truck from the very start of it all is still Clover – cannot go wrong with their chickpea fritter! I loveee all the grilled cheese options at Roxy’s, but my go-to truck of them all is still Clover – cant go wrong with their chickpea fritter & truffle fries! As requested I tweeted @ppspeen & FB about the event 6/10 & #Clover is a great eats! Clover is the best I’ve tasted by far and a great value! Going to a food truck for lunch is the best way to force myself to get some fresh air during the work day! I’ve tried a few trucks around my office and Clover and their chickpea sandwich is my favorite. They also have good lemonade flavors – peach is my favorite. Sadly, the food truck revolution has not made it up to the Seacoast of NH, so I have not had a “best” experience yet. Looking forward to having one though! I posted a link to this blog entry on my Facebook page and also a link to your Facebook page. Caseus Food Truck in New Haven – I often risk my health for those cheese-packed sambos! Seriously – you are making me choose?! Okay, Roxy but off to track down Clover! facebooked and pinterested it 🙂 so so excited!